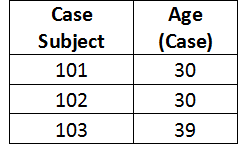 Case Subject must be at the same age as the matching Control Subject. 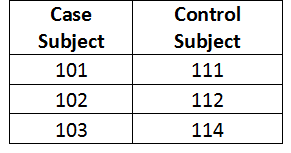 One Control Subject can only match one Case Subject. No duplication is allowed. 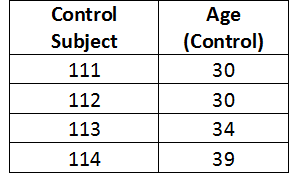 If more than 1 Control Subject can be matched to a Case Subject, the Control Subject should be randomly selected. ​Create a data set that contains the final matching and their respective parameters.